Prev in Kearsarge Pass Vicinity (Peak 9.3) Kearsarge Peak. Next in Kearsarge Pass Vicinity (Peak 9.5) Rixford Mt. 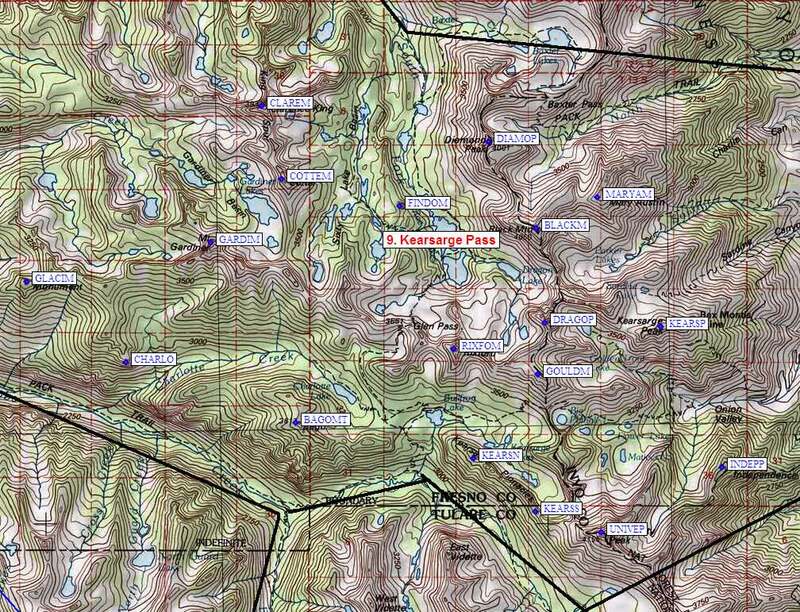 Peak 9.4 GPS Waypoint: simple Waypoint+ format, download GPX file, or overlay on interactive map. The "UTM Hint" in the table above approximates the peak location to the nearest 100 meters. Click here for info on Universal Transverse Mercator coordinates. Map exported from TOPO! software, used with permission. Return to overall Sierra Peaks page.